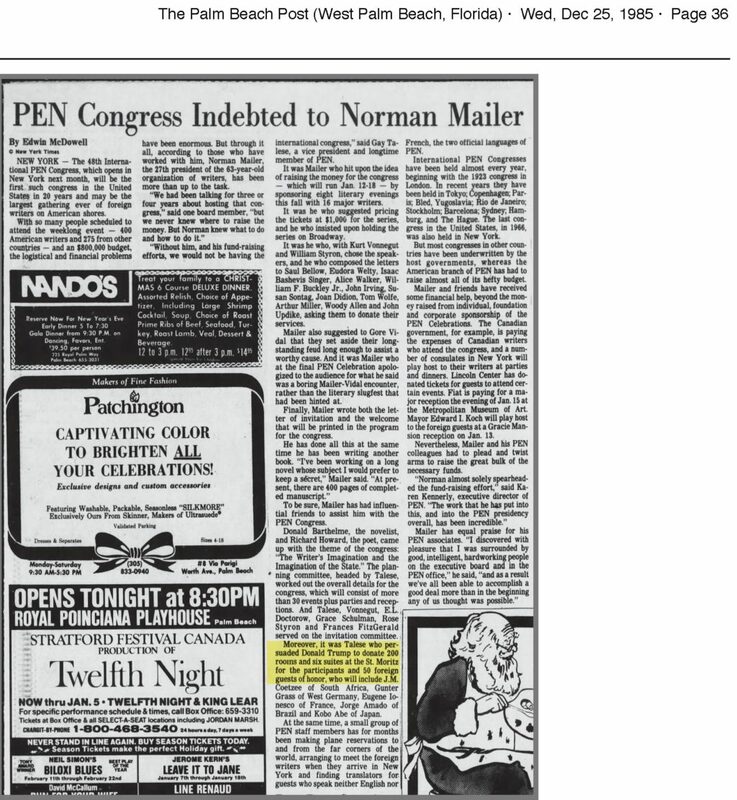 Though the PEN American Center’s annual budget was around $5oo,000, Norman raised approximately $800,000 more to pay for the congress. As the opening day neared, he persuaded Donald Trump to donate two hundred rooms and six suites at the St. Moritz Hotel (which would otherwise have cost $175,000), assembled interpreters to provide simultaneous translation of all events into French, and organized PEN staff to meet the more than fifty guests of honor at JFK Airport. 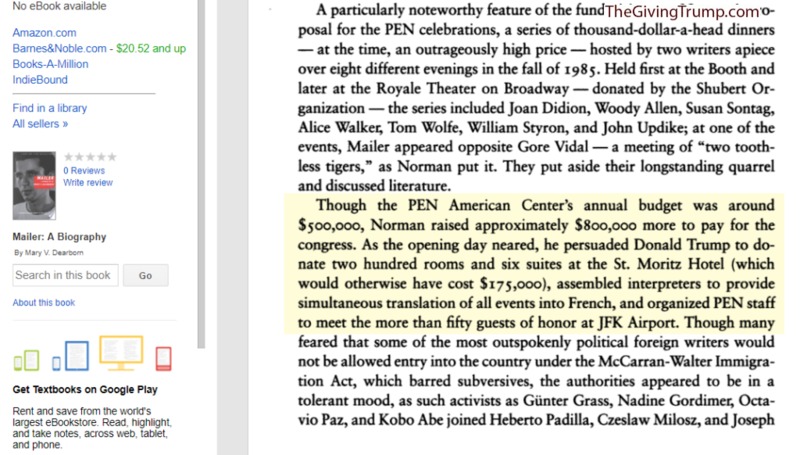 Though many feared that some of the most outspokenly political foreign writers would not be allowed entry into the country under the McCarran-Walter Immigration Act, which barred subversives, the authorities appeared to be in a tolerant mood, as such activists as Giinter Grass, Nadine Gordimer, Octavio Paz, and Kobo Abe joined Heberto Padilla, Czeslaw Milosz, and Joseph Brodsky.